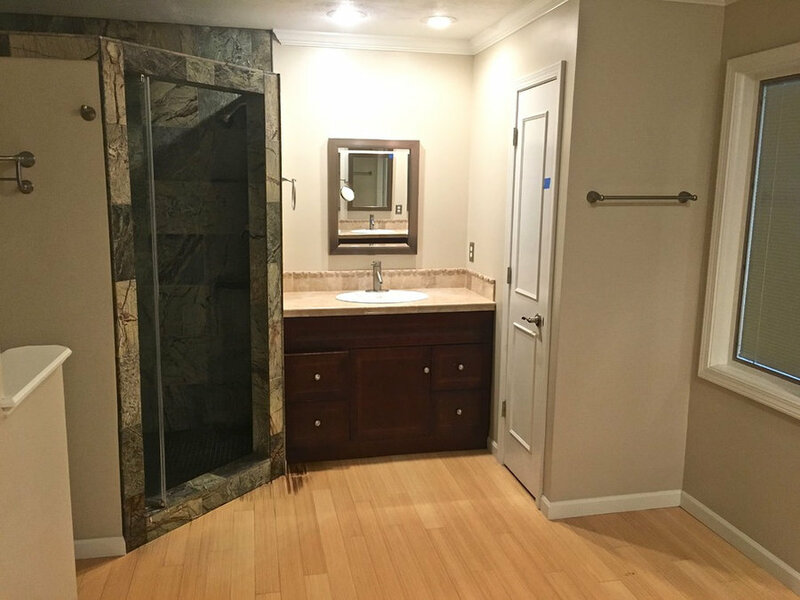 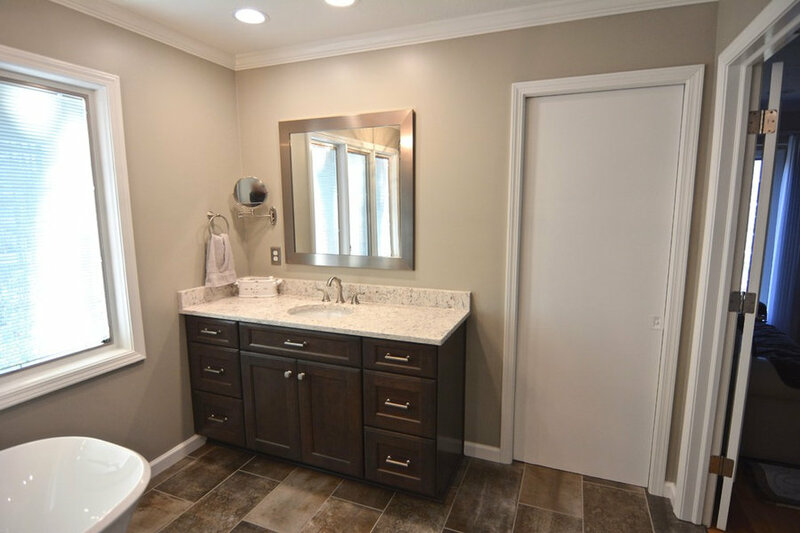 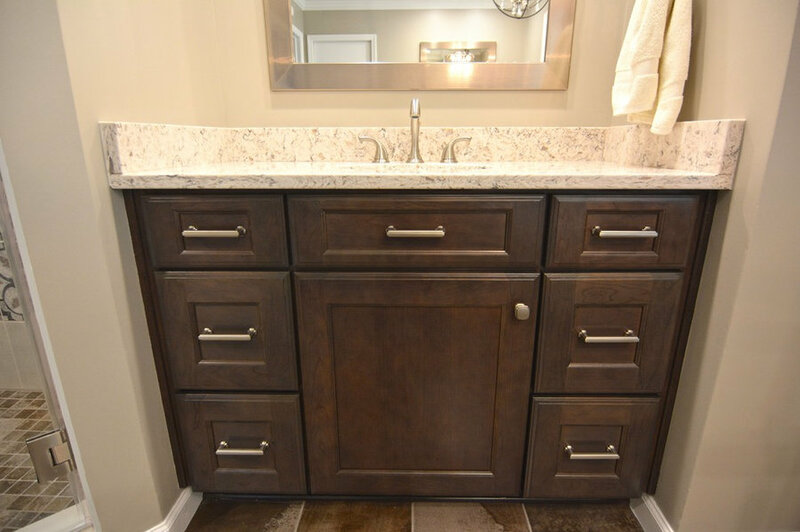 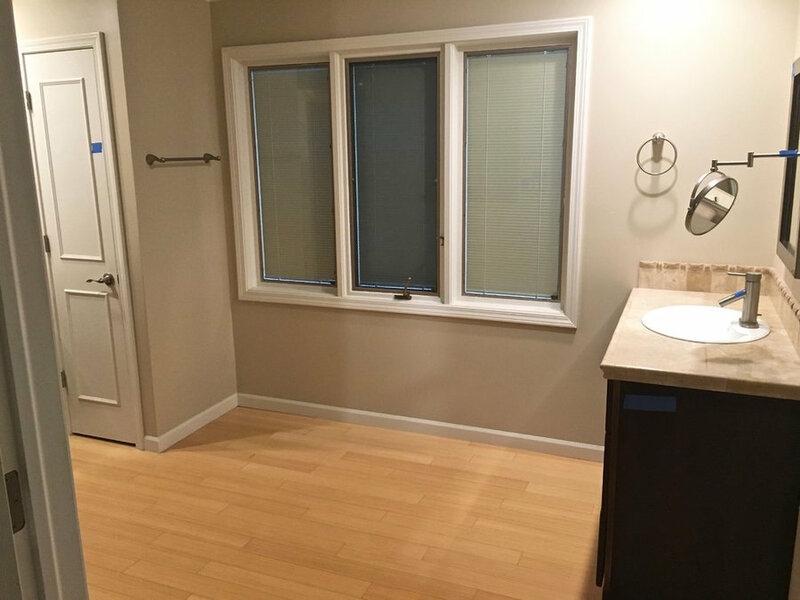 BEFORE/AFTER -->This master bathroom has received a dramatic makeover! 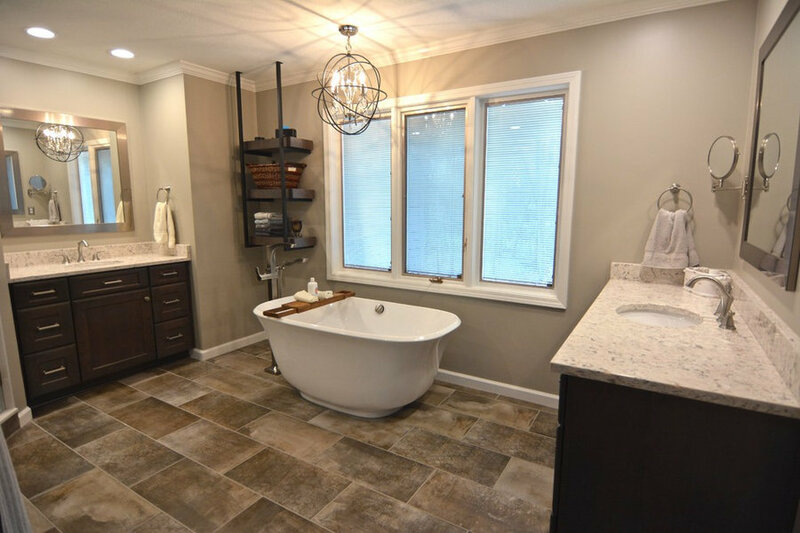 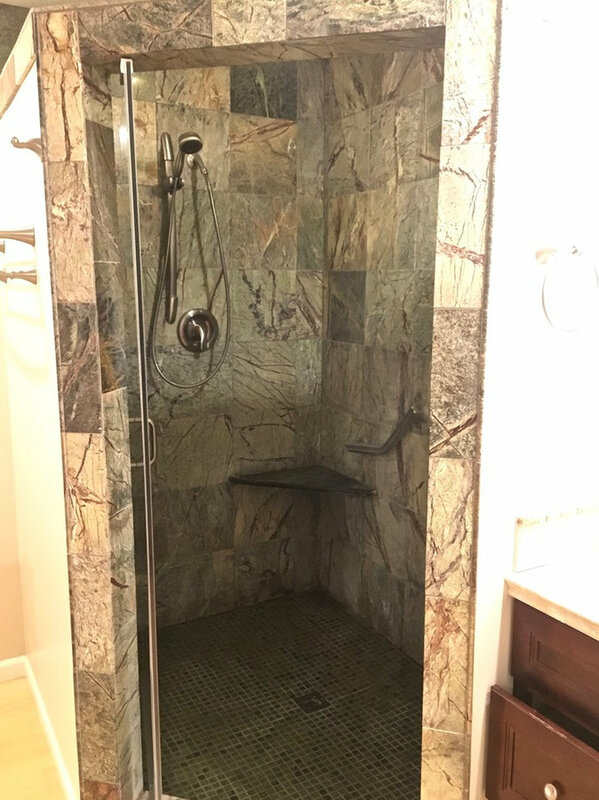 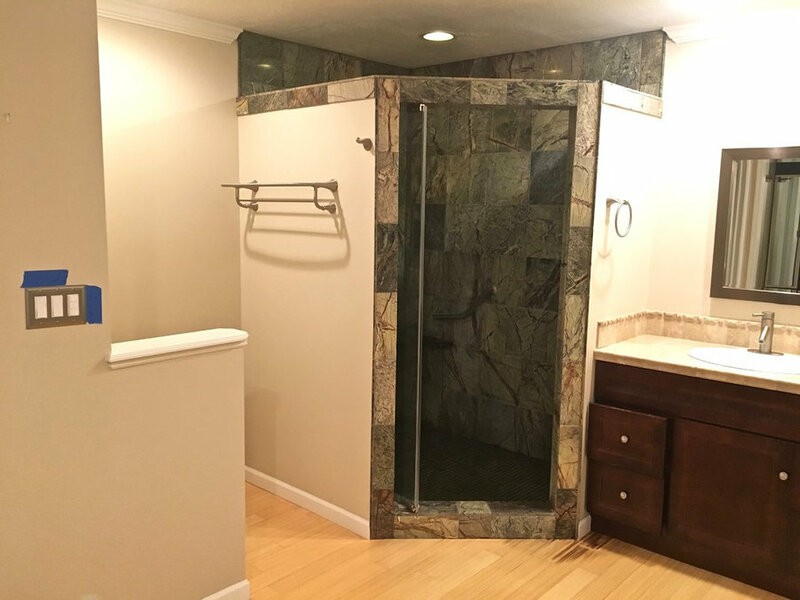 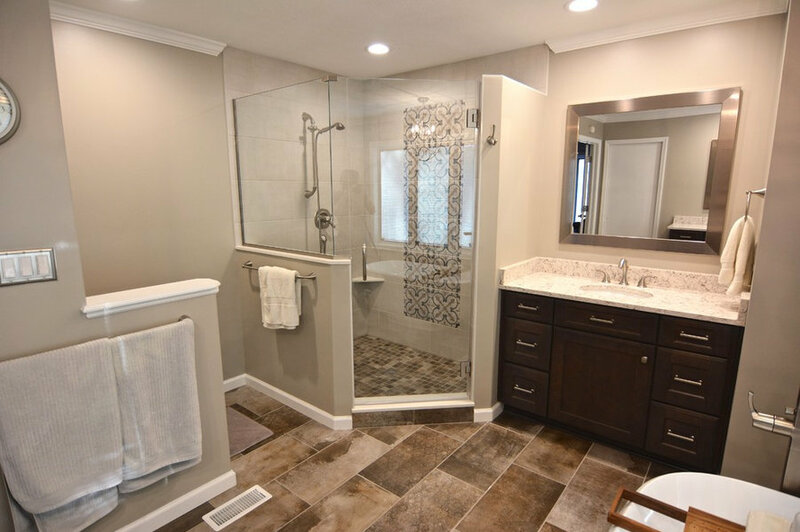 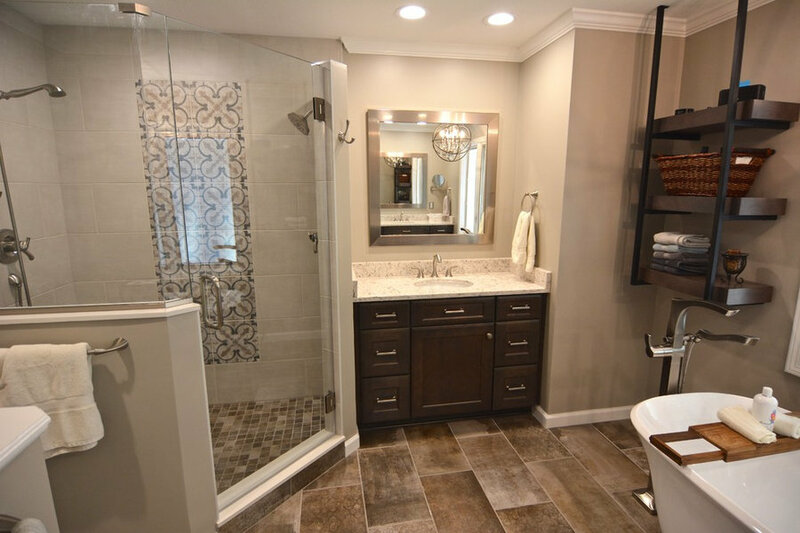 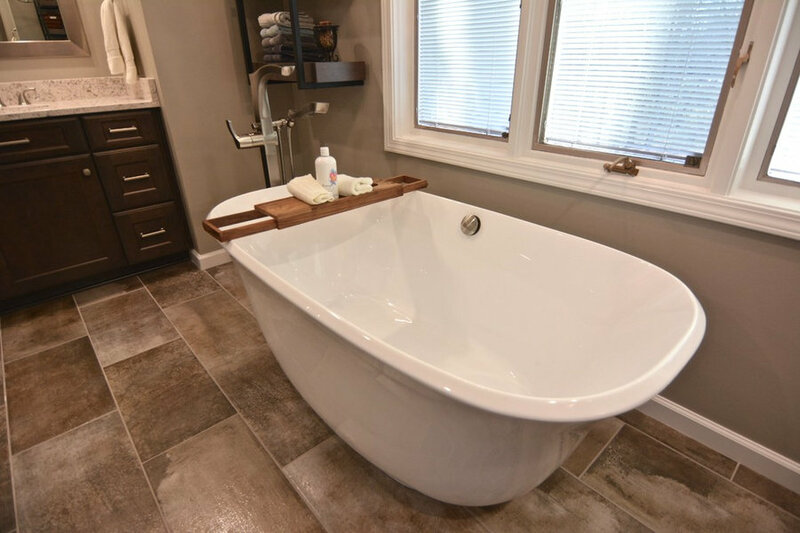 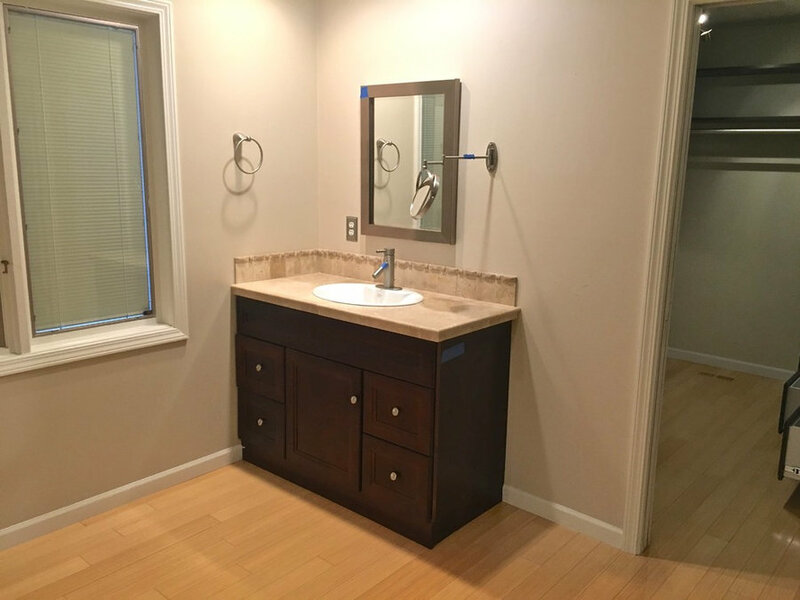 By eliminating a shower wall and a small linen closet, we created a spacious and functional layout with room for a large glass shower enclosure, dual vanities and a luxurious free-standing soaker tub. 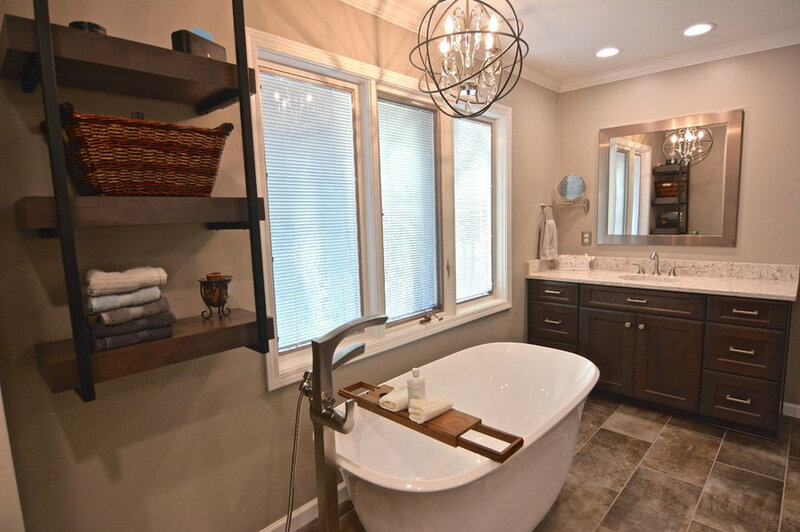 Bold accent shower tile, a beautiful chandelier and floating shelving with contemporary ceiling-mounted metal brackets have transformed this once dated bathroom into a bright and contemporary master retreat. 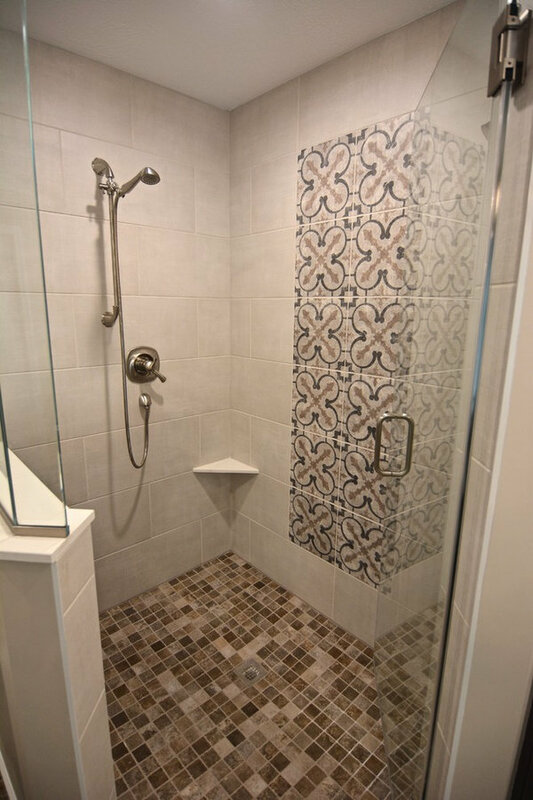 Designed by Holly Blevins.